Sauté onion in olive oil in the bottom of a pot. Add a splash of water if too dry. When onion becomes translucent, add cumin, garlic, if using, and cook for one minute. Add chili pepper to taste. 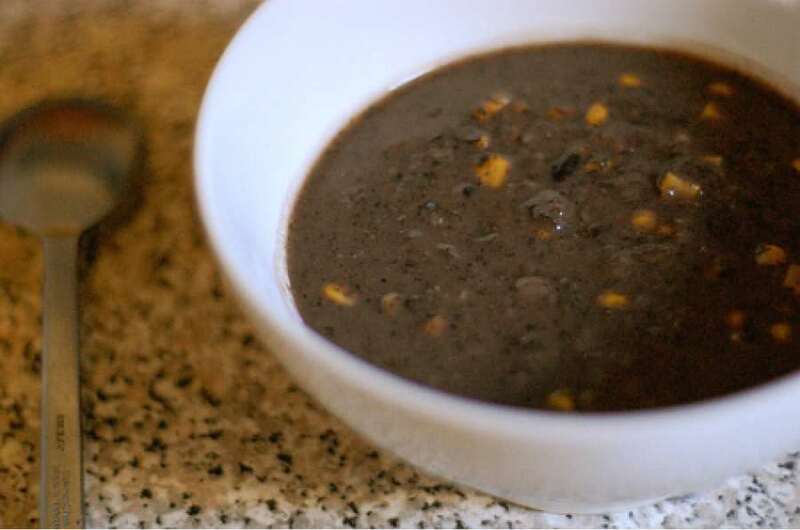 Add black beans and water (or broth) and bring to a simmer, stirring occasionally. Cook for 15 minutes. For a smooth soup, use a hand blender to blend the ingredients in the pot, or transfer to a blender.